the light is all: Guest Photo of the Day: Lamb. Lamb., originally uploaded by alexstoddard. 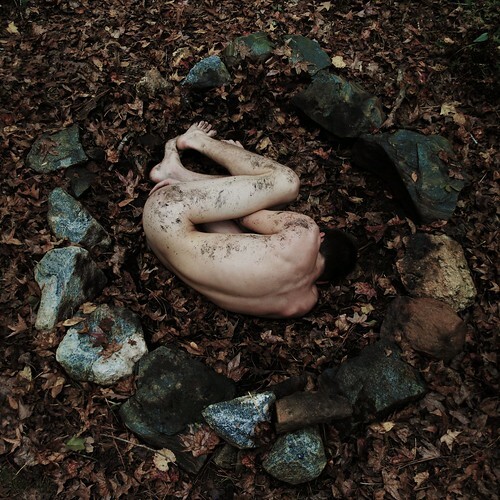 Alex Stoddard takes great photos, and I particularly like this one for a number of reasons. It's intriguing, for starters; and there's a beautiful symmetry to its composition. The square crop works well for this photo. I like the colors, too -- for me, it's a real plus in a photo if the palette is made up of related colors, in this case, earth tones. In the full description of this photo you'll note that it's labeled "176/365." Stoddard is participating in a challenge, common on Flickr, to take a self-portrait every day for 365 days. It really seems to stretch people to creativity, and it's something I'm considering trying... someday.